Do you want to try our mayonnaise? 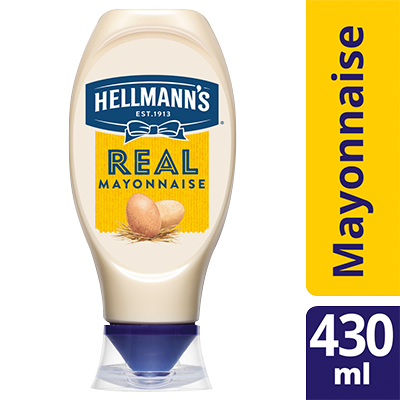 Order a free sample below and we will send you a free case of Hellmann’s Real Mayonnaise 430ml. To get your free case, simply fill in your details below and we will send this to you. Check out the terms and conditions below for more information. Samples are available to Great Britain mainland bona fide caterers and chefs aged 18+ only, subject to availability. Limited to one case per establishment. We reserve the right to determine the veracity of sample requests. Bona fide GB chefs and caterers only! To apply, visit https://www.unileverfoodsolutions.co.uk/chef-inspiration/front-of-house-range/free-sample.html?pcode=1-EN-10060, fill in all required fields and submit your details. One sample per catering establishment and per IP address. 1,000 free samples available. Closing date for receipt of applications is 23:59 GMT on 31 December 2018 or when samples run out, whichever comes sooner. Visit www.ufs.com/hellmannssampleterms for full terms and conditions.